National Mental Health Awareness Month is an opportunity to raise awareness of the mental health needs of everyone, including youth. Children involved in the child welfare system compared to the general population have higher rates of mental health issues. 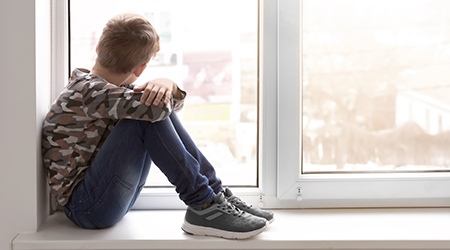 Factors contributing to the mental and behavioral health of children and youth in foster care includes the history of complex trauma, frequently changing situations and transitions, broken family relationships and inconsistent and inadequate access to mental health services. Review our Mental Health Publications HERE. Like our Facebook page and follow us on Twitter for relevant child welfare related publications. Rapid Safety Feedback - Qualtrics Review Tool Resources and Guides are available. This project is part of an on-going initiative to enhance the quality of care provided in Florida’s residential group homes licensed by the Department of Children and Families. The Group Care Quality Assessment was designed to measure group homes’ performance on the Core Quality Standards and to facilitate quality improvements in programs and services. In this webinar, participants will receive a summary of the work conducted during the pilot study of the Group Care Quality Assessment that was completed in January 2017. Information will also be shared on the subsequent field test that is currently in progress. Obtain general information about the effects of Fetal Alcohol use and how to achieve better outcomes for children and families. During this webinar, the Office of Child Welfare will provide an overview of the Results Oriented Accountability (ROA) background information and future vision for the Child Welfare dashboards.